This storm was predicted, so I'm not totally sure why there were so many people stuck on the roads yesterday. 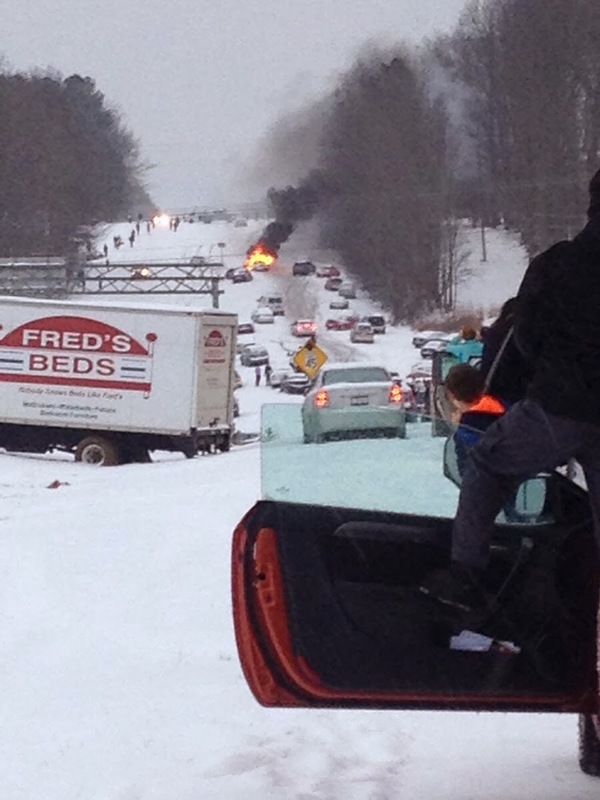 If you watch any of the news you'll have heard of the gridlock we had in Raleigh/Durham in the afternoon. I think that even though we all heard about the disaster in Atlanta a couple of weeks ago, most just don't take these forecasts serious. This is our 7th year here in NC and most times these storms never pan out the way they say they could. It's always, we dodged a bullet, or it could've been a lot worse. I wasn't too worried about it until I watched the weather forecast Wednesday morning and the meteorologist totally freaked me out. I immediately sent a text to Marty: if you were to buy wood, do you think you could start a fire? We have never used our fireplace. We are Floridiots. I needed to go to work Wednesday morning because I had deadlines that required the help of my coworkers. Thank my lucky stars that one coworker came in who could help me. I still wasn't all that concerned about traffic because kids were off of school and I assumed there were a lot of people who didn't come into work at all. I left the office at 11:30 and made my way to Logan's daycare. I stayed there for a bit as they had just served lunch. Not that he ate any of it. Can we say picky-eater. Sheesh. Then I decided to stop at the super market because Tassie was almost out of food. And maybe I wanted cake. Logan didn't want to sit in the cart, so it was slow going with him ambling next to me while I got some groceries. When we walked outside it had started snowing - hard. By the time I got home, 5min later, our driveway was covered and there was no way I was getting up it (it's very steep). But we were home safe and sound. My helpful coworker didn't leave until 12:30 and it took her 2.5hrs to get home. And this picture was not even photo shopped. This is in front of the Angus Barn if any of you are familiar with Glenwood Ave. This morning I decided to go ahead and get my run in. 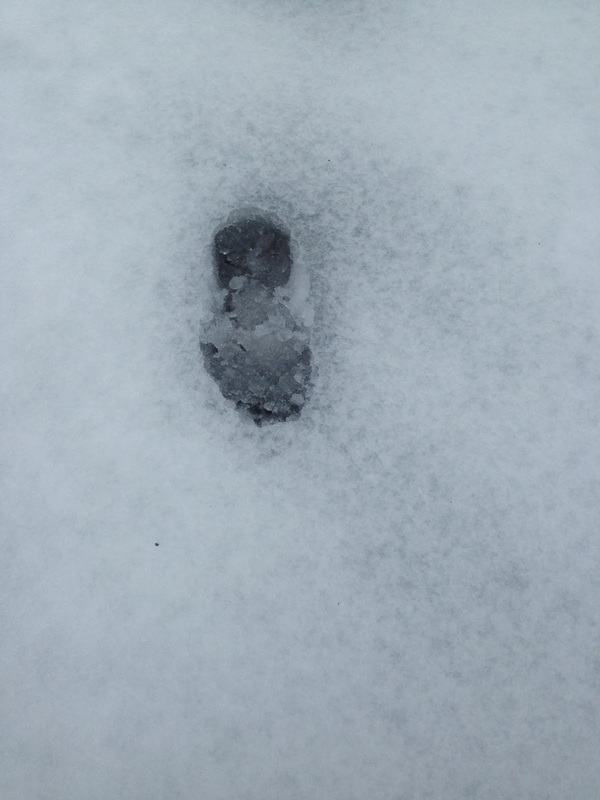 I put on my trusty Yaktrax but this time around wasn't as good as last time. The snow was deep and slushy - very, very hard to run through. But we haven't lost power so everything is good. I can work from home and have the Olympics on in the background. It definitely puts a damper on the training, but let's be real here, I'm not exactly very disciplined right now. 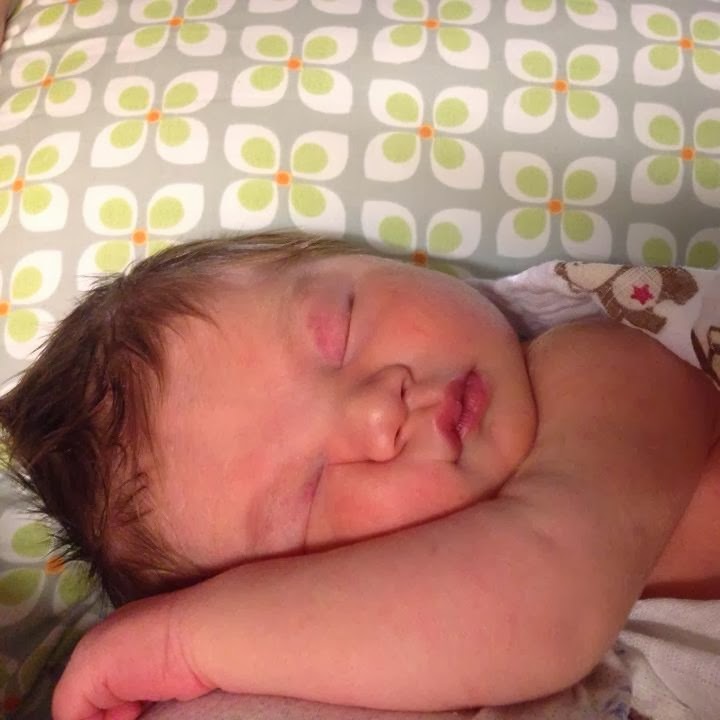 Also, my sister had her baby this past Sunday. Say hello to Beckett Morgan Lowery! I can't wait to see him in a couple of weeks. I didn't watch the news, but I heard someone say something about NC being a mess somewhere. I guess I see why. That pic is crazy. I think we have had the worst Winter since I have been in MI. It isn't the snow totals, although they are high, it is the consecutive days below freezing. We have had 3' of standing snow for over a month. Nothing has melted. We have always got snow, and days above 32. Just no days above 32 this year. Tatum is in the falling down on purpose but then crying like it hurt like hell stage. Argh! glad you made it home safe and just in time it sounds like. 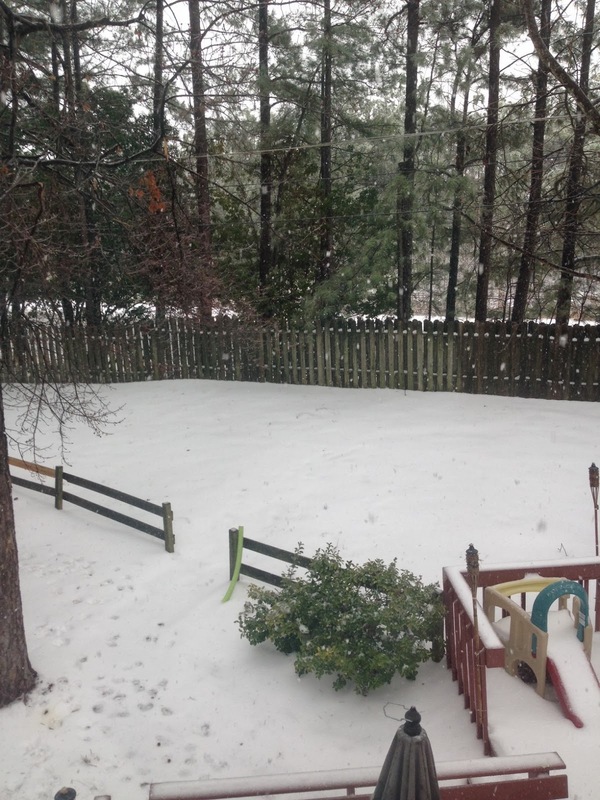 It wasn't as bad in the triad, still 6inches of snow perhaps and some ice in the of all that. Training for anything big this year? Sorry for the incident. But, if wanted to get the service for removing the ice in your area then, snow removal service burnaby will help you.